Our ﻿Pastor: P﻿astor Kline grew up in a religious home but was not saved until he left home at the age of eighteen years old. Shortly after receiving Christ he surrendered to serve the Lord in whatever capacity the Lord would have. Pastor Kline graduated from Heritage Baptist University and was ordained into the gospel ministry in 1997. 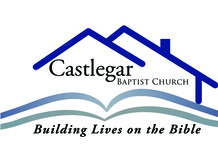 The Klines moved to Castlegar British Columbia and started Castlegar Baptist Church in 1998. Pastor Kline has been married to his wife Betsy since 1989 and the Lord has blessed them with four wonderful children. We believe the Bible literally and build our ministry around it. We promote family unity, yet provide ministries for all ages. We teach and uphold old-fashioned values in an ever-changing world. We are a family of people with a desire to meet the needs of each member. We support 16 missionaries and missions projects world-wide.